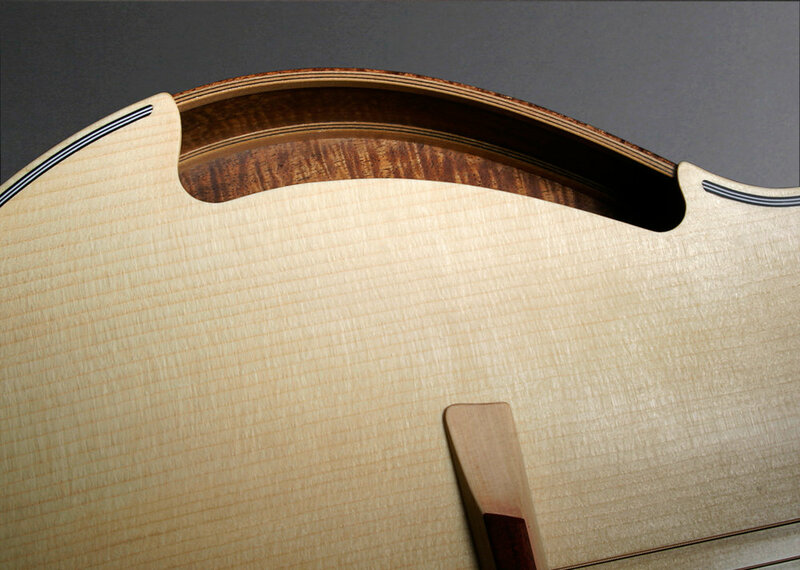 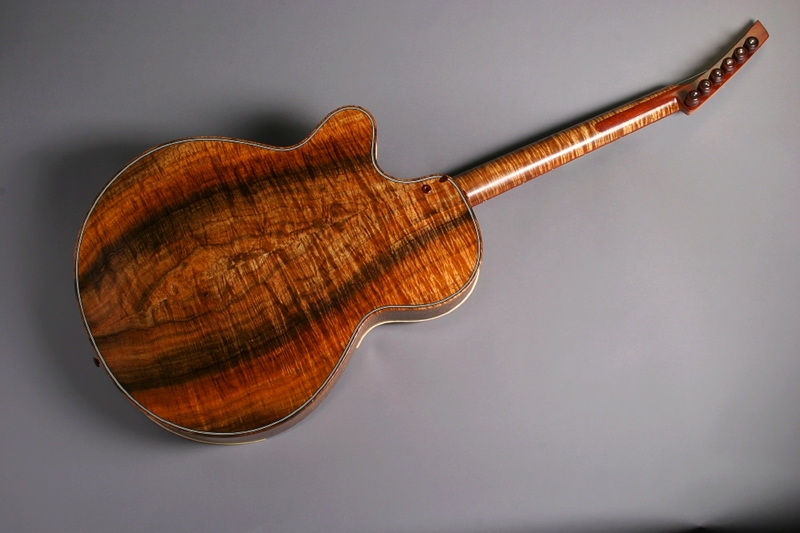 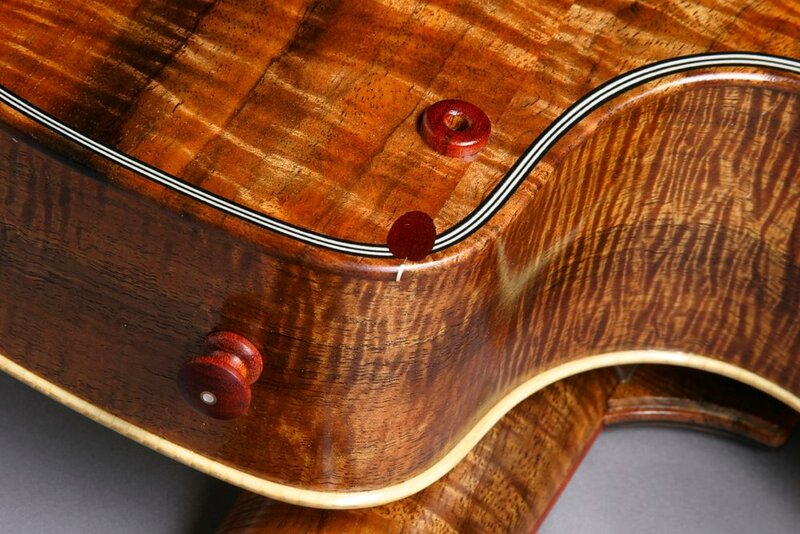 Fingerboard, Head Veneers, Strap Buttons, and Other Bits: Pernambuco. 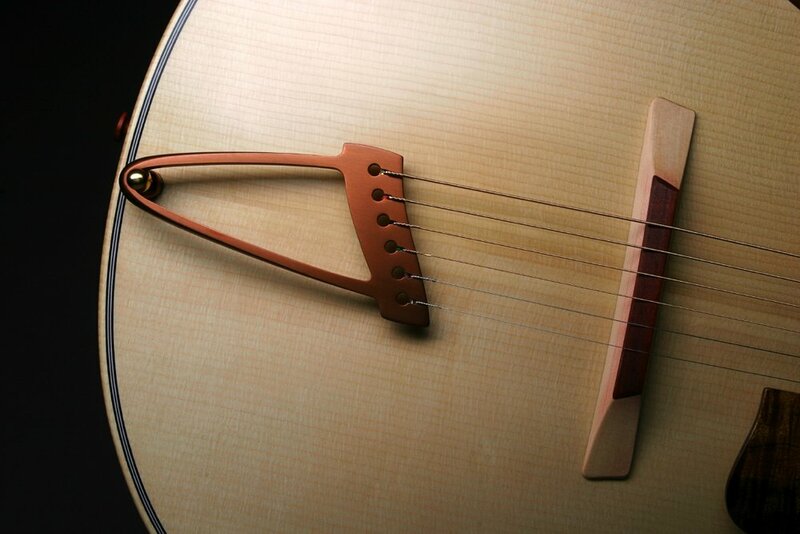 Tuning pegs: 16:1 ratio planetary gears with specially designed Pernambuco knobs. 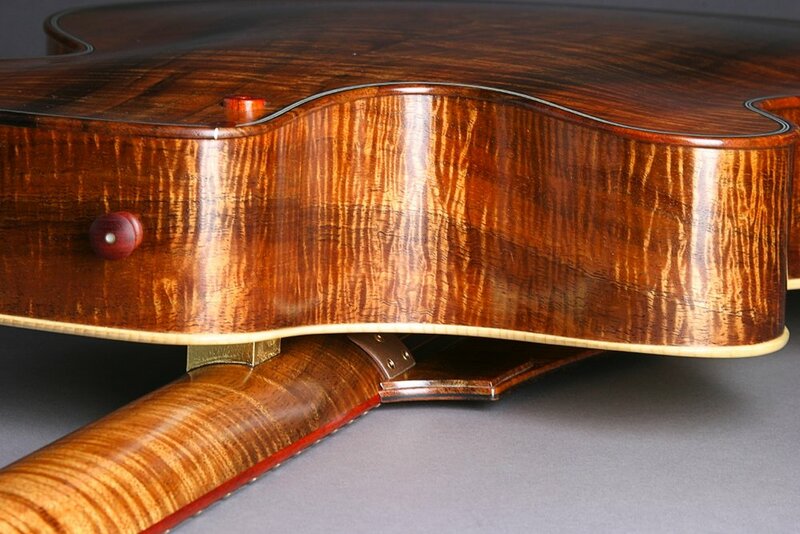 A small red olive is inlaid in the back.